This post illustrates the last of the moths in the Lithosiinae sub family photographed locally, beginning with the genus Philenora. 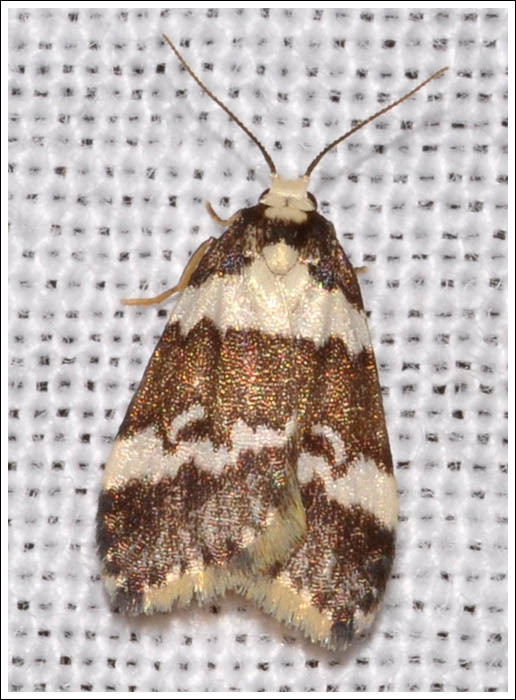 The Little Mask Philenora, Philenora aspectalella. The Dainty Philenora, Philenora chionastis. 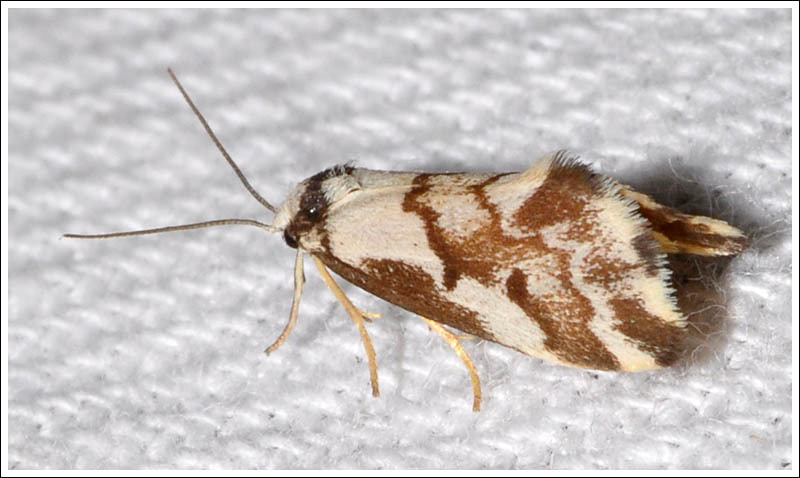 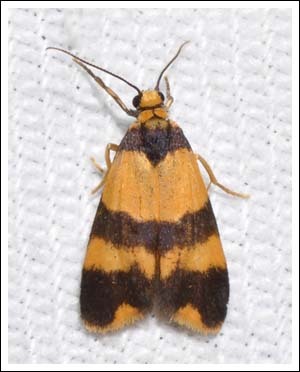 The Orange Double-bar, Stenoscaptia venusta. 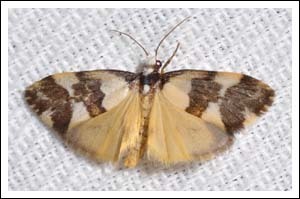 Two species of the genus Asura are found in Victoria, the larvae are lichen feeders. The Lydia Lichen Moth, Asura lydia, males. 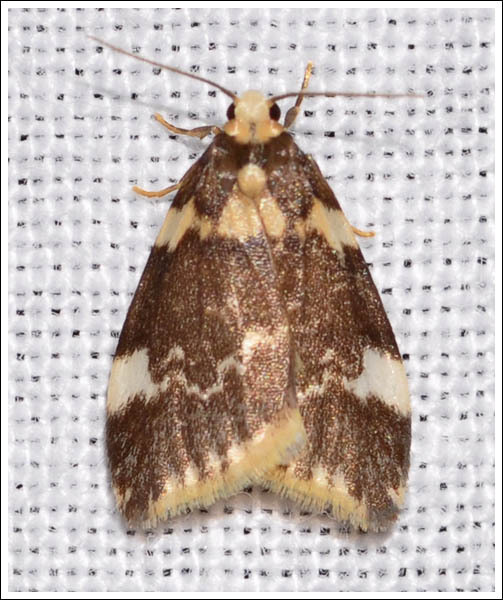 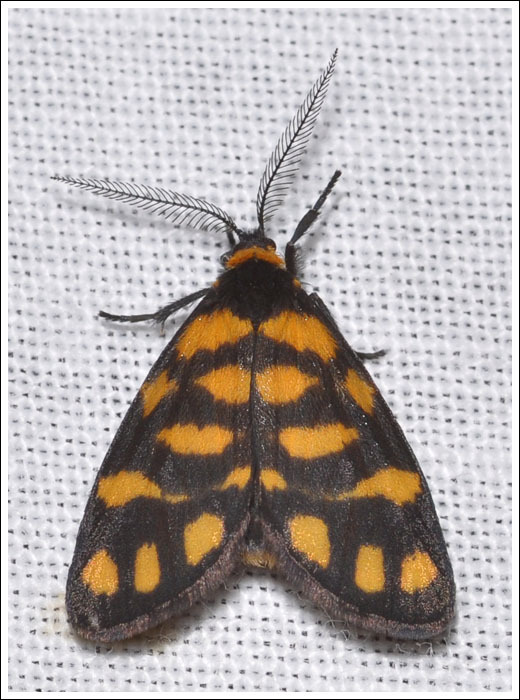 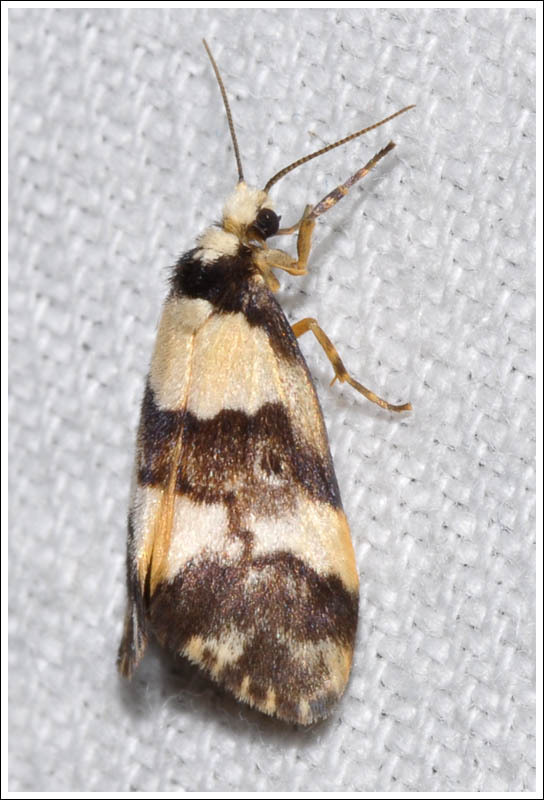 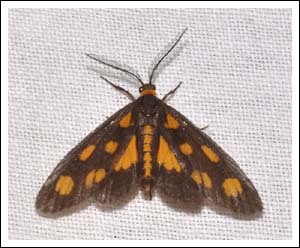 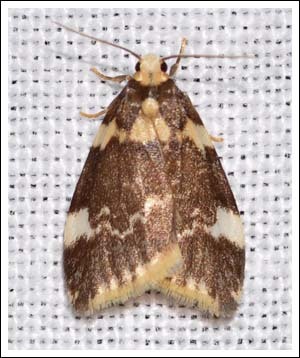 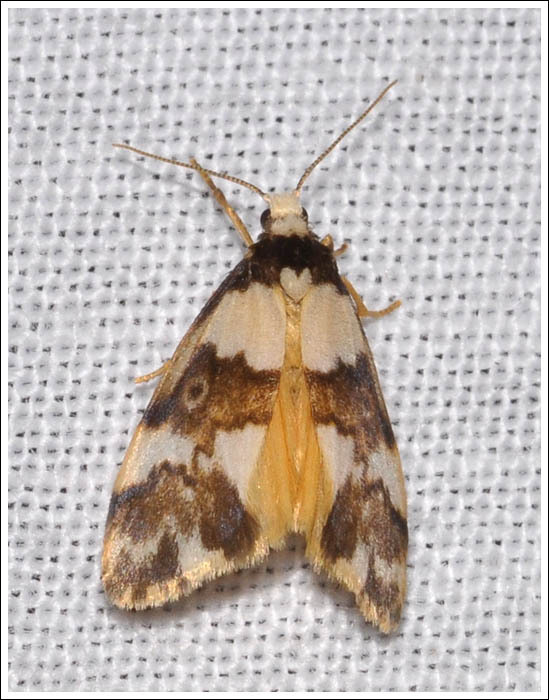 The Spotted Lichen Moth, Asura cervicalis, male. 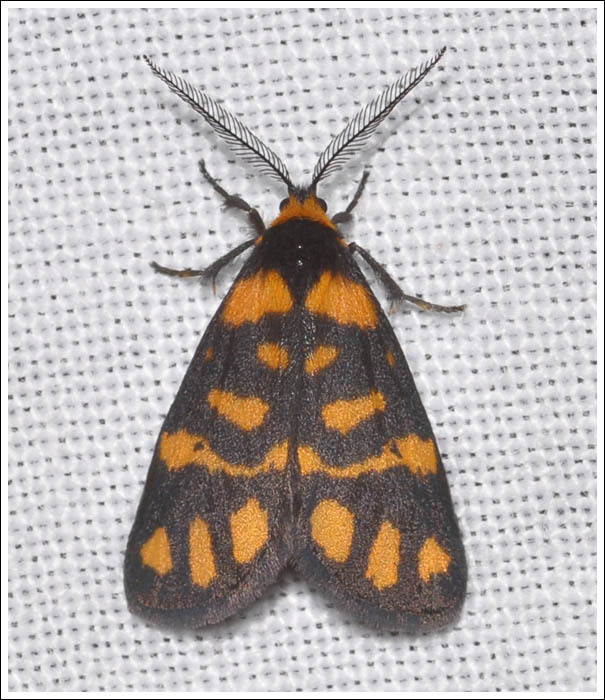 References and further reading, Moths of Victoria Vol. 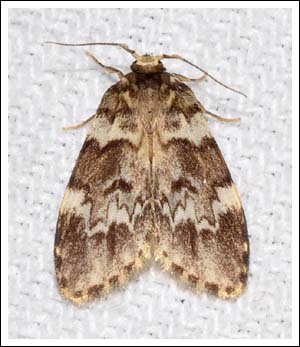 2 Second Edition. Posted on October 25, 2016 July 18, 2018 by PholodesPosted in Arctiidae, Moths. 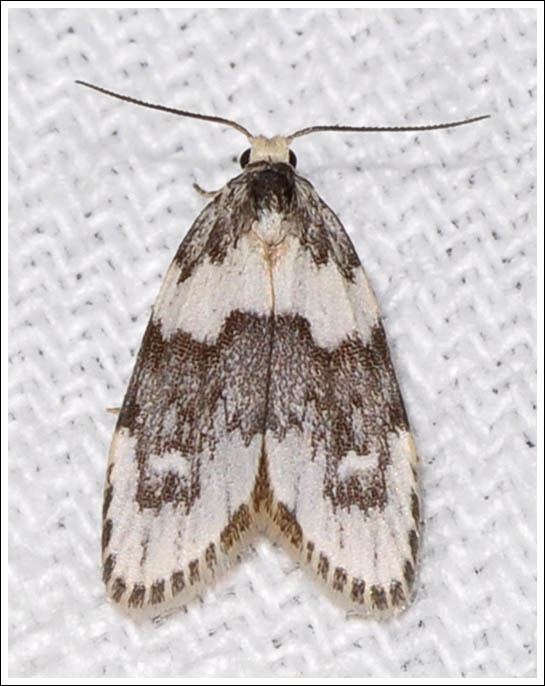 Not all the moths in this group have been given the title Footman in the common name, this post begins with another two that have. The Clouded Footman, Anestia ombrophanes, male, the female is wingless. 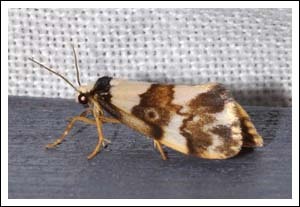 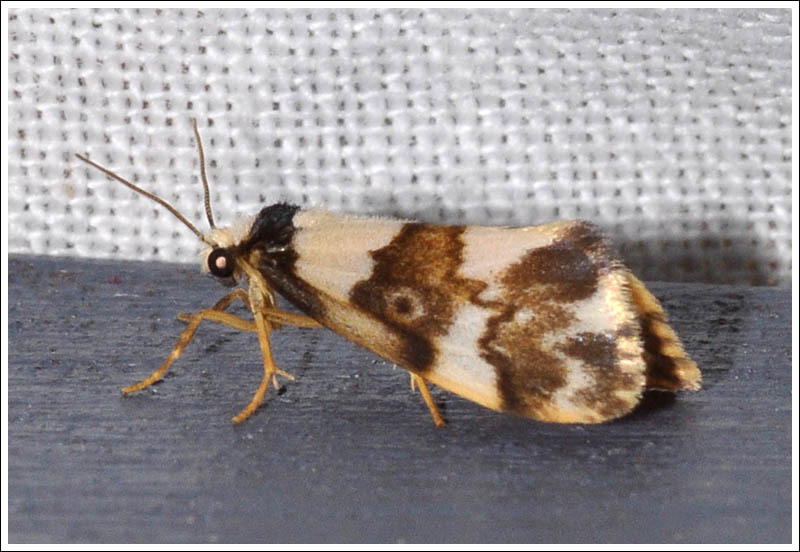 The Marbled Footman, Anestia semiochrea, male, female also wingless. 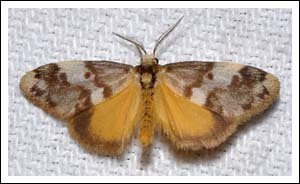 Moths in the the genus Halone are named thus. The Variable Halone, Halone sejuncta. The Pied Halone, Halone prosenes. 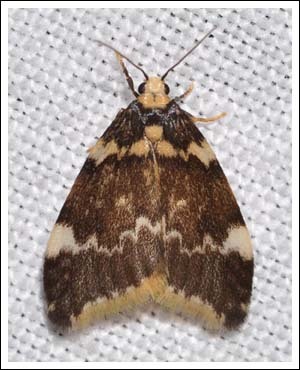 The Brown Halone, Halone pteridaula. To conclude this second last post on the Footmen, a moth similar to the Halones that has not yet been given a common name, being known in MOV 2 Vol. 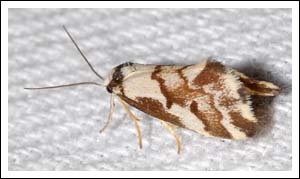 2 as Scaphidriotis sp. 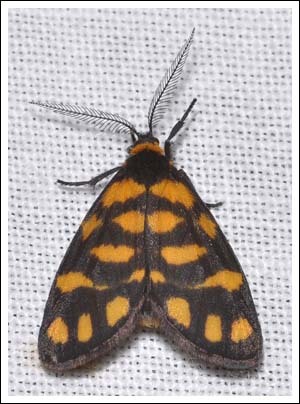 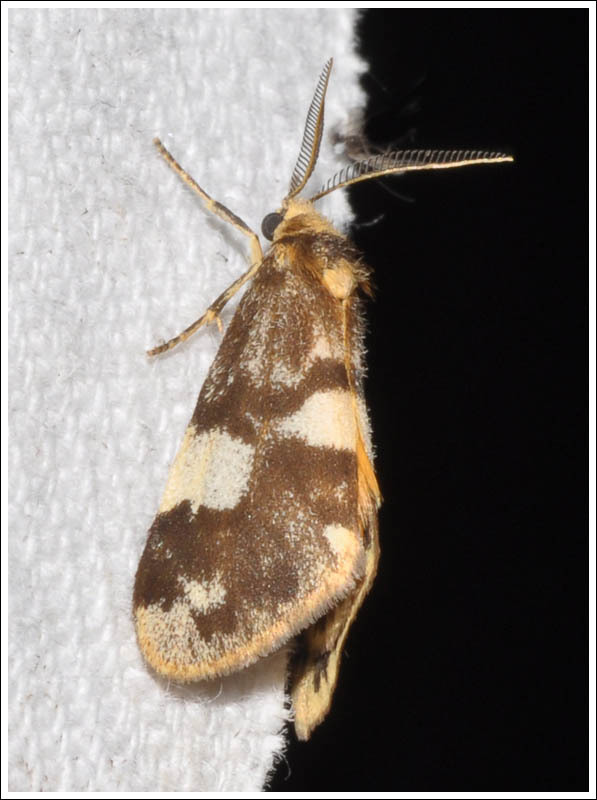 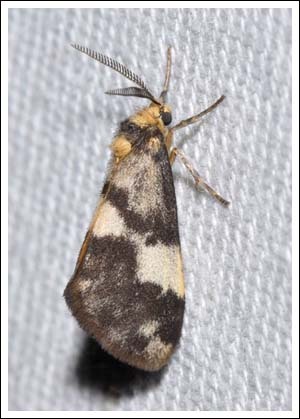 (1) It is a male moth with the characteristic thickening of the antennae bases. 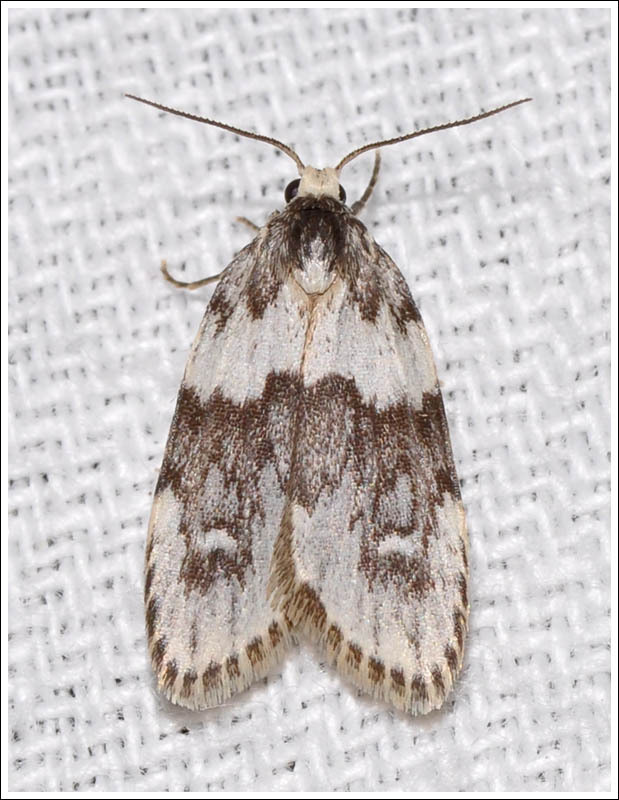 Posted on October 22, 2016 July 18, 2018 by PholodesPosted in Arctiidae, Moths.